The Office of Public Integrity promotes and defends the integrity, efficiency and accountability of the County of Monroe and its operations. The office identifies and investigates allegations of waste, fraud and abuse by County employees, as well as outside vendors conducting business with the County. The purpose of this task is to promote an atmosphere of honesty and integrity within County government. The Office of Public Integrity has the ability to examine all County operations independently and report its findings to law enforcement, when necessary. The office addresses concerns raised through the Whistleblower Hotline, which is accessible to all County employees, as well as County residents. To file a complaint, please see this form. The Director has the authority to subpoena witnesses, administer oaths or affirmations, take testimony and compel the production of documents deemed to be relevant by the Director for any inquiry or investigation. In addition to these responsibilities, the office proactively conducts financial and operational investigations/audits of County departments, and provides recommendations to improve accountability and efficiency. An annual report is prepared for the County Legislature and the County Executive, with further details of the office’s activities. A decorated law enforcement official, David grew up in New Jersey and enlisted in the Navy after graduating from high school. After a six year stint during the Vietnam era, David and his wife, Paula, moved to Colorado Springs where he joined the Colorado Springs Police Department (CSPD). During a 20 year career with the Department, he received the CSPD Medal of Valor, as well as numerous commendation medals for service above and beyond the call of duty. He eventually rose to the rank of Division Operations Commander. After leaving the CSPD, he served as Chief of Police in both Fountain, CO, and Laurel, MD until March 2006, when he became Chief of Police of the Rochester Police Department. 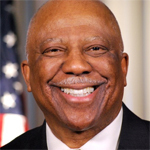 He served as Chief from 2006 until 2010, when he took over as Director of the Office of Public Integrity for the City of Rochester. In 2013, he became the Monroe County Public Safety Director, a role in which he became familiar with County government and its operations. He transitioned to the Monroe County Office of Public Integrity in 2016, becoming the office’s first Director. David and Paula live in Greece, NY. They have one son, Jesse, who resides in Annapolis, Maryland. The Office of Public Integrity maintains a confidential hotline to provide a secure means of reporting suspicious activity concerning County programs and operations. OPI shall provide protections to complainants who, as a result of their complaints to the OPI, might be subject to retaliation by their employers/coworkers. OPI provides a protection policy to protect employees who report a belief that their organization is engaged in or willfully permits unethical or unlawful activities. DISCLAIMER: While complaints may be provided anonymously, complaints filed anonymously without clear, specific information that can be verified may prove impossible to pursue.